This issue’s featured grain is the often pidgeon-holed barley. Usually, we think of barley as belonging in soups or stews. Even though it can be excellent used this way, it is much more versatile than those two uses. Let us learn more about this diversified grain. With a history dating back to Asia thousands of years ago, barley was also known for its medicinal purposes in Egypt and Greece. It is believed to have been brought to the United States during Christopher Columbus’s journey to the New World. Currently barley is the one of the top five grains produced in our country with uses ranging from feed for animals to malt beverages for human consumption. And, according to various reputable sources, about 1% of its production is used for food consumption by us humans. A very small percentage, indeed, for the powerhouse of nutrients it provides us with. The Pacific Northwest proudly is one of the two largest producers of this grain cereal, along with the Northern Plains states. 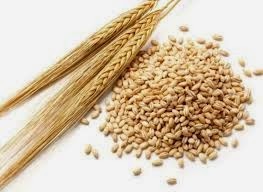 Nutritionally, barley contains several vitamins and minerals including niacin (vitamin B3), thiamine (vitamin B1), selenium, iron, magnesium, zinc, phosphorus and copper. It also is high in antioxidants which are shown to be important for good health. Another added benefit is the fact that barley contains phytoestrogens, a plant based estrogen. Studies have recently revealed the fact that phytochemicals may decrease the risk for certain diseases such as cardiovascular disease, diabetes and cancer. More research, however, is needed before anything about phytochemicals can be finalized. In addition, barley is known to be cholesterol free and low in fat. Barley is a unique high fiber grain when compared to other grains. When most grains are processed, the outer layer (or bran) is removed thereby removing the majority of the fiber content. Barley, on the other hand, has fiber throughout the kernel. This means that even with processing, barley will have at least 50% more fiber than its counterparts. As with any grain, fiber fills us up and helps us to lose weight since we are not as hungry as when eating ‘empty calories’. Start enjoying the wonders of barley today! Marie Buckner, owner of My Unique Cookery, has over 20 years experience in natural foods education and is a published author, speaker, and instructor. She has a series of cookbooks involving grains, fruit sweeteners, soyfoods, baby foods, and organic cooking. She currently teaches cooking classes at the Port Townsend Co-Op. Sign up for a class today!